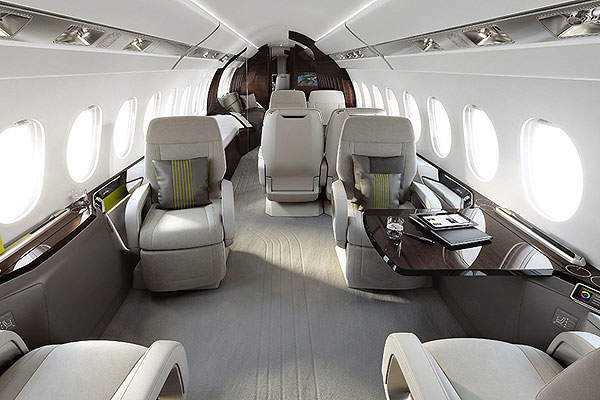 Dassault Falcon 5X was unveiled at the NBAA convention in October 2013. Image courtesy of Dassault Aviation. The first flight of the Falcon 5X was conducted in the first quarter of 2015. Image courtesy of Dassault Aviation. Dassault Falcon 5X programme was terminated in December 2017. Image courtesy of Dassault Aviation. The cabin of the aircraft has a total volume of 50m³. Image courtesy of Dassault Aviation. The aircraft features the third generation EASy flight deck developed by Dassault and Honeywell. Image courtesy of Dassault Aviation. The cabin has provision for three distinct lounges. Image courtesy of Dassault Aviation. 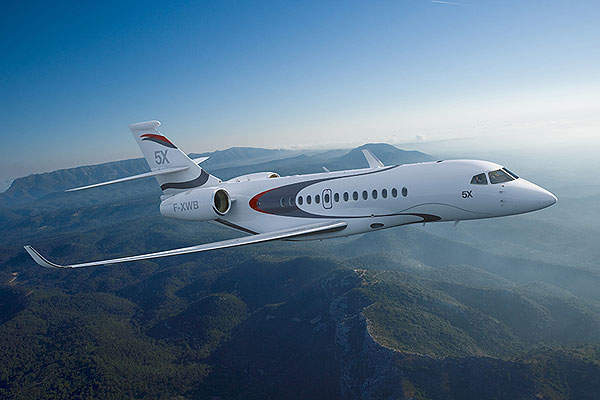 Falcon 5X is a new super-midsize business jet developed by Dassault Aviation (Dassault). The aircraft was unveiled at the National Business Aviation Association (NBAA) convention held at Las Vegas, US, in October 2013. Aircraft components construction and assembly were carried out at Dassault’s Argenteuil facility located in France. Final assembly took place at the Bordeaux-Merignac facility in France. DAHER-SOCATA is a major partner in the development of the aircraft. The aircraft’s maiden flight took place in July 2017 and the Falcon 5X programme was later terminated in December 2017 due to serial technical and scheduled issues with Safran Snecma Silvercrest engines. This led to a three-year delay and order cancellations. 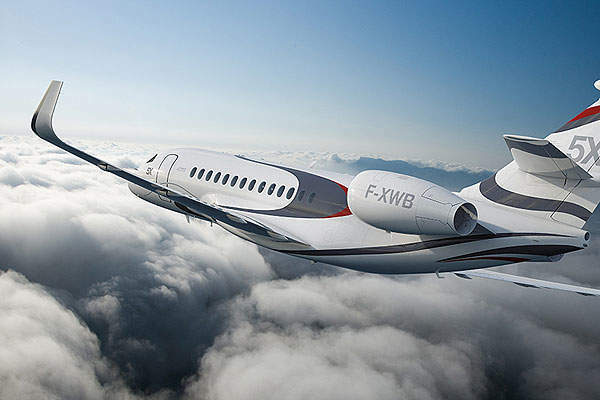 Dassault Aviation then announced the launch of a new Falcon business jet programme, which will be powered by Pratt and Whitney Canada engines. Expected to become operational in 2022, the new model will be based on the Falcon 5X cross section and will have a range of 5,500nm. 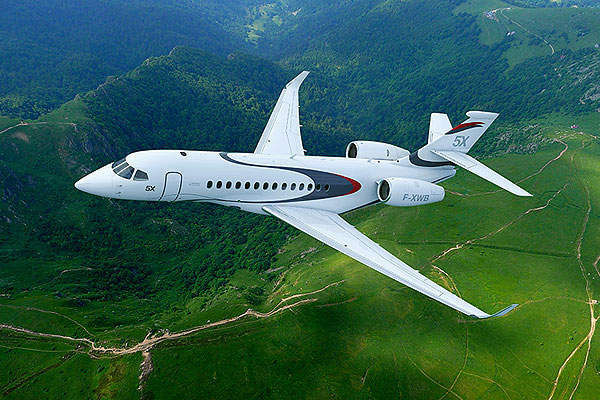 Dassault Falcon 5X has a length of 25.17m, height of 7.47m and wingspan of 25.94m. It is equipped with a new flight control system, aerodynamics and other advanced technologies. 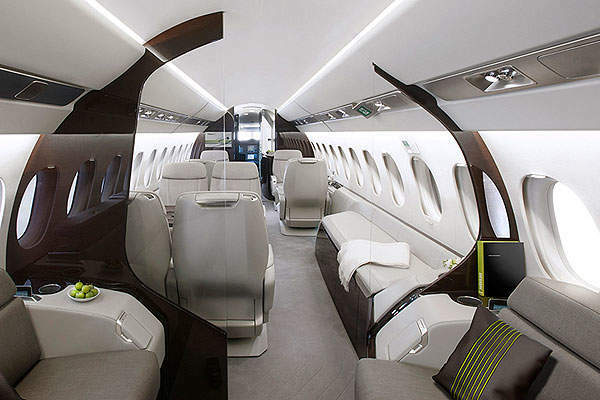 It is designed to compete with Gulfstream G450 and Bombardier Global 5000 aircraft. The Falcon 5X is equipped with a third-generation EASy flight deck jointly developed by Dassault and Honeywell. It included a new flight management system (FMS) and two electronic flight bags, which are integrated into the front instrument panel. The Elbit Systems-developed head-up display (HUD) was designed to provide wider views. The RDR 4000 radar from Honeywell allows hazardous weather depiction at a distance of around 320 miles. The aircraft’s cockpit features large windshields and a storage room. It has more legroom for pilots and high visibility. Falcon has a wide cabin with three distinct lounges. It has a volume of 50m³ accommodating up to 16 passengers. It has 28 windows to provide enough natural lighting. It features comfortable seating with hollowed-out armrests and plug-in ports for individual seat monitors. It also features a Wi-Fi connection. The cabin is facilitated with sophisticated audio and video equipment. 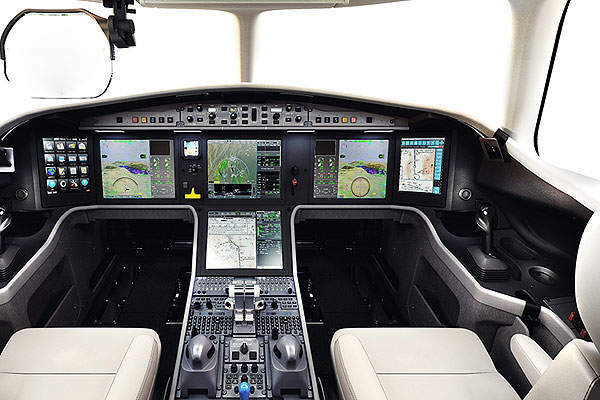 It is also equipped with a FalconCabinHD+ cabin management system developed in association with Rockwell Collins. The aircraft was designed to be powered by two Silvercrest engines manufactured by Safran Snecma. The fuel-efficient engines generate a thrust of 50.93kN. Falcon has a,200nm (5,360km) range at M.80. The maximum take-off weight is 31,570kg (69,600lb) and the maximum landing weight is 29,982kg (66,100lb). The zero-fuel weight is 19,731kg (43,500lb), while the maximum fuel capacity is 12,791kg. Meggitt Aircraft Braking Systems (MABS) was awarded a contract to deliver integrated control and monitoring unit for landing gear extension and retraction for the 5X business jet in October 2013. The scope of the contract includes supplying nose wheel steering, wheels, brakes and a braking system for the aircraft. Liebherr-Aerospace was selected as the supplier of the air conditioning system for the aircraft cabin in October 2013. PPG Aerospace won the contract to design the lightweight glass windshields for the aircraft cockpit in the same month, while Eaton was selected to design, develop and integrate advanced hydraulic power-generation system for the aircraft. 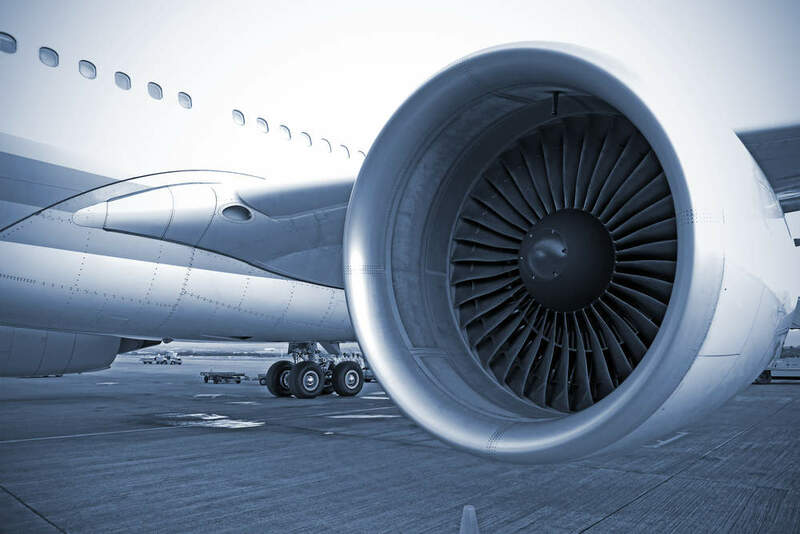 The scope of the contract also includes supplying controller logic and a series of technical innovations for increasing the reliability and efficiency of the aircraft. The other important aircraft component suppliers selected by Dassault in October 2013 included Zodiac Aerospace to supply the primary and secondary electrical distribution system, Pratt and Whitney AeroPower to provide auxiliary power unit (APU), UTC Aerospace Systems to supply Ram Air Turbine (RAT) system and Thales to provide electrical starter-generator and power conversion solution. POTEZ was selected to design and manufacture the aircraft door, while NORDAM was selected to manufacture the cabin windows. Michelin Aircraft Tire provided radial tires, GKN Aerospace offered advanced structures for the wing and engine, and Fokker Aerostructures provided design and manufacturing of the aircraft’s tail section.